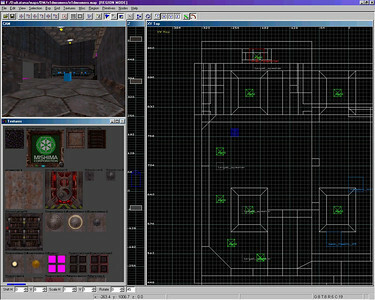 Eventually this will hold all Daikatana materials, pictures, etc. that I have! 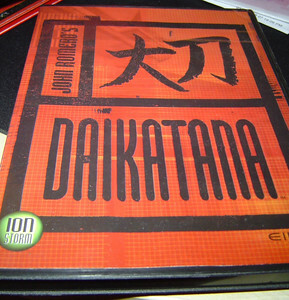 Daikatana is an FPS game I developed during the Ion Storm/Dallas era (1996-2001). Here's the back of the foreign version's DVD case. Love how they misspelled Mikiko. This is the front cover of a foreign version (not sure which language). It's a standard DVD case. 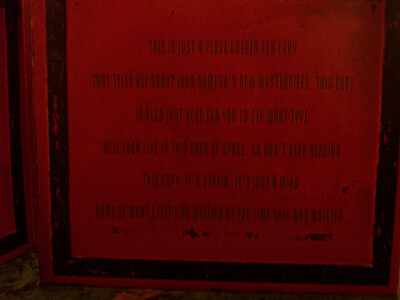 This is the side of the DVD case for one of the foreign versions. Crazy language, eh? 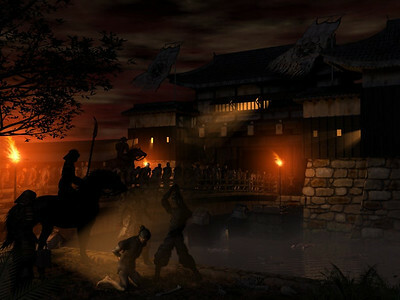 Here's the concept material for a digipak version (which we didn't make). 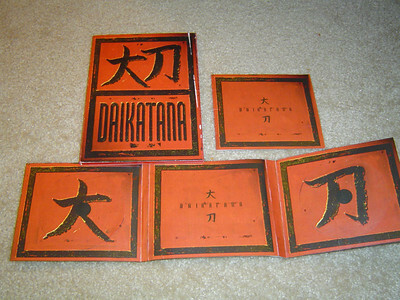 If the game was multi-CD we would have put the CDs on the two Daikatana symbols. 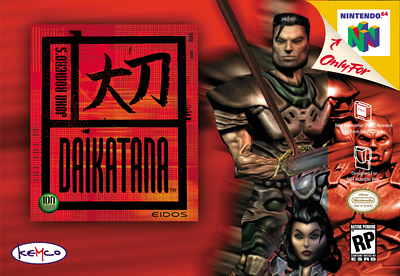 Here's one of the 2-page ads for Daikatana. 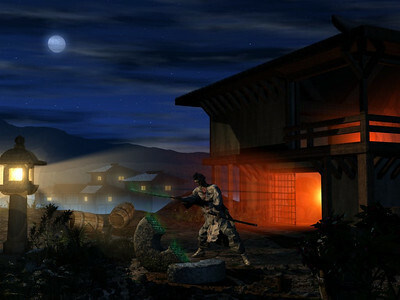 I liked this one best. The tagline "Suspect everyone, trust no one" was tired and dumb even back then. 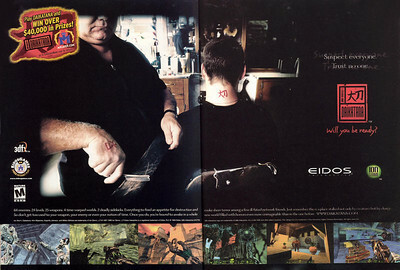 Eidos ran a lot of co-marketing ads back in the late 90's that included their current game's main characters. 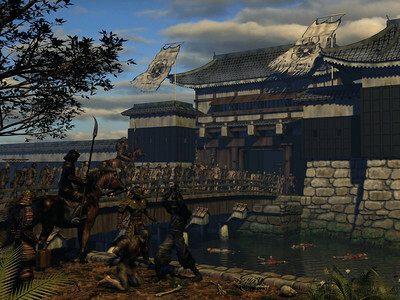 Like Daikatana's Hiro Miyamoto and Anachronox's Sly Boots. 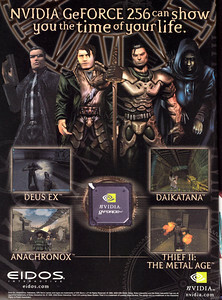 The box cover of the European version. The box was the kind where the top slid down over the bottom like board games, old Origin and Infocom games. Love that plug by PC FORMAT. 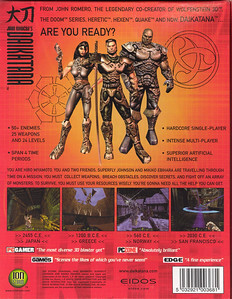 The back of the Euro box. The side of the Euro box. 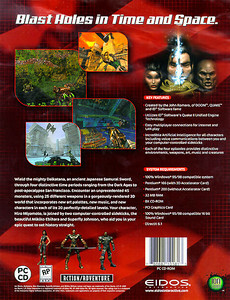 The bottom side of the Euro box so you could read the system specs and see the Euro rating. 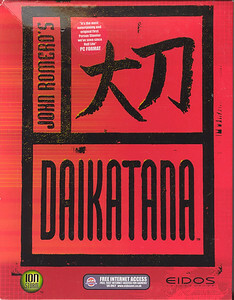 A clean copy of the Daikatana logo. 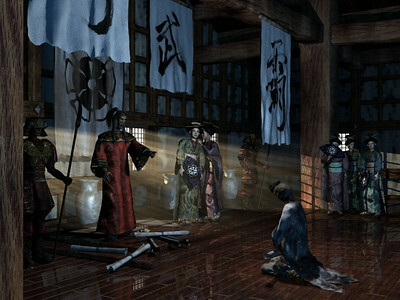 Video of the N64 version being played. Recorded by Kemco. 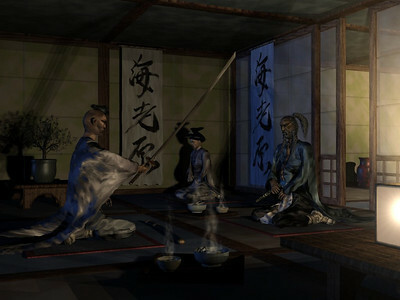 Scenes from the Daikatana N64 cinematics that explain the backstory. 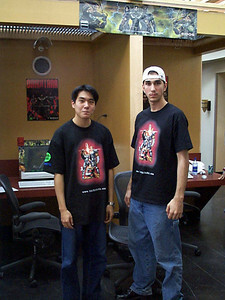 I don't think these made it into the final game. 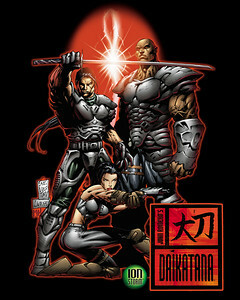 The cover of the Daikatana comic by Mark Silvestri. 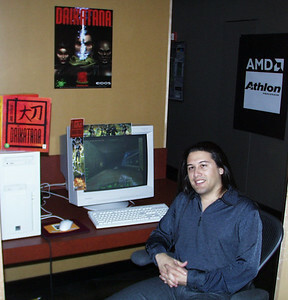 Me sitting at a computer in Ion's deathmatch station. 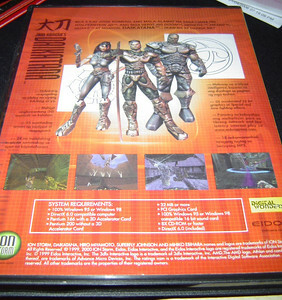 Daikatana sell sheet that Eidos used to show buyers at large retailers. This was an area that I was building. 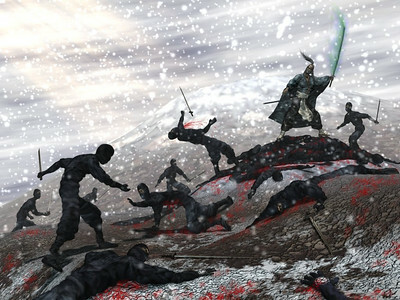 It didn't turn out interesting, so I deleted it and it didn't make it into the game. 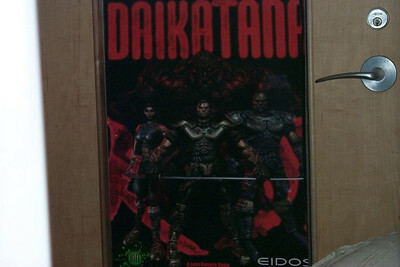 A Daikatana poster that fit perfectly in the glass window of my office. No one look in here! 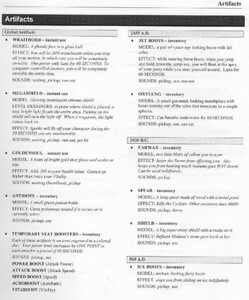 A page from the Daikatana design doc that explains the items in the different time zones. Giant Hiro Miyamoto at E3. 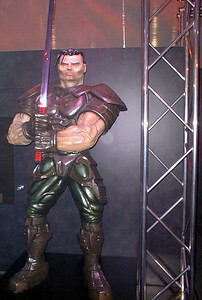 I wish we had kept him, but he disappeared after the show in 1998. 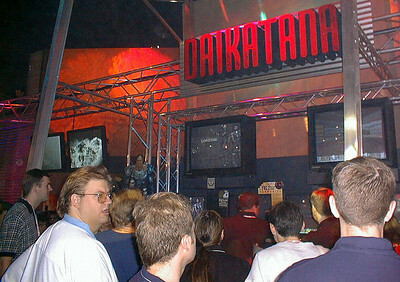 Daikatana at E1 in 1998. At the far left is Redwood.